Flexible filing system for the office. The Unikorpus 780 is an organizing container which can be turned into an equipment console by adding various drawers and elements. Case and drawers in anodized aluminium, interior in black chipboard. 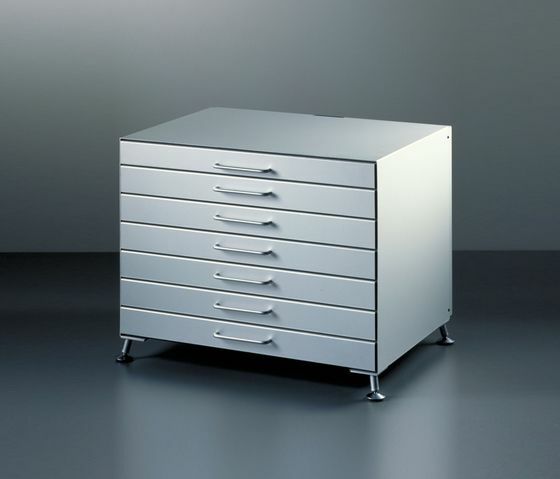 The cabinet is available on casters or feet. Atelier Alinea plc was founded by Werner Abt in 1993.